Here is my (a bit tongue-in-cheek) classification of the problem solving attitudes. It comprises three categories: pyramid-builder, theory-builder, and problem-solver. No one person fits completely in any one of the categories; rather, each of us is an amalgam of the three. And, to make it perfectly clear: the categories describe person’s attitude toward problem solving – not person’s abilities. The theory-builder and problem-solver categories were first described by Tim Gowers in his seminal article The Two Cultures of Mathematics. He used them to classify mathematicians (and to highlight differences between combinatorics and the “real” mathematics). Aiming for completeness, I added the pyramid-builder category and extended Gowers’ definitions to cover any problem solving area. I follow his terminology by hyphenating category names to distinguish the pyramid-builder from a real pyramid builder. Pyramid-builders abhor problems. The fewer problems the better. When problems do arise, they must be solved in a time-boxed fashion. Witness the Bent Pyramid where the design was changed after the pyramid was half-built. 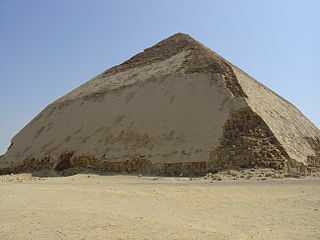 This was done either because the pyramid was too steep and unstable to begin with, or because the boss (Sneferu) got frail and a design change was made to meet a new project deadline. Generally, pyramid-builders design and plan their work so as to avoid, anticipate, and mitigate against any problems. They accomplish this with the help of experts (theory-builders and problem-solvers, next). Successful business people are always pyramid-builders at heart. The best of them are visionaries to boot. A mathematician friend told me once that he liked solving problems, but got much more satisfaction from shoveling snow. “Sixty square yards in one hour and you are done – no problems to solve,” he said. This proves that there are closet pyramid-builders even among mathematicians (who, generally, are problem solving devotees). Prominent historical examples of pyramid-builders include King Djoser, Henry Ford, Bill Gates, Steven Jobs, Oprah Winfrey, Elon Musk, Sergey Brin (and many others). A theory-builder is an expert in his domain of interest. He studies and knows the theory. He applies this expertise to answer questions in the domain. An open problem is a challenge to his expertise. As a leading expert, he may expend considerable effort (sometimes taking a lifetime) to solve a problem and expand the theoretical framework with the new knowledge. He considers a problem important if its solution would have a significant impact on the theory or if it serves a “higher cause”. He may be less inclined to solve one-off “puzzles”, no matter how otherwise interesting or practical they may be. Theory-builders range from subject matter experts, to academic authorities, to geniuses such as Albert Einstein. Majority of mathematicians and scientists are theory-builders. Surprisingly, I would also include most lawyers and clergy in this category. We note in the sequel that problem-solvers sometimes offer prizes for solution of their problems. In this context I note that Donald Knuth awarded nominal monetary prizes for finding mistakes in his publications ($2.56, or one “hexadecimal dollar” per mistake), with a total of over $20,000 awarded. But this does not make him a problem-solver in the meaning of this post – he is a dyed-in-the-wool theory-builder. Prominent historical examples of theory-builders include Euclid of Alexandria, Isaac Newton, Évariste Galois, Charles Darwin, Jules Henri Poincaré, Albert Einstein, Kurt Gödel, Bertrand Russell, Edsger Dijkstra, Donald Knuth (and many others). A problem-solver is able to skillfully solve problems using his toolkit. The toolkit may be a set of techniques, or it may be simply an accumulated experience, but it lacks a “framework” typical of a formal theory. A problem-solver is certainly familiar with the underlying theory, such as it may exist, but its development or completeness is not his main concern. He devotes his life to improving his toolkit. A problem-solver is truly dedicated to problem-solving. He cherishes and collects problems and their eventual solutions. He may publish lists of unsolved problems and may offer prizes for solving them. The most valuable problems in his portfolio are easily stated, so they are accessible to the widest audience possible. In everyday life, problem-solvers range from handymen to high-level troubleshooters. Most engineers and computer programmers are natural problem-solvers. Chess players and crossword puzzle solvers fit the definition perfectly (and the best of them worked in Bletchley Park code-breaking projects). In mathematics, problem-solvers are attracted to areas, like discrete math, where there is an abundance of easy to understand open problems. Every mature organization has problem-solvers on call that step in when things go awry. Problem-solvers in the employ of pyramid-builders must be treated with care, however. They get bored quickly if there are no problems to solve; they are sometimes guilty of nitpicking, making mountains out of molehills, and forcing unnecessary design changes. Prominent historical examples of problem-solvers include Pierre de Fermat, Marie Sophie Germain, David Hilbert, Thomas Edison, Nikola Tesla, Alan Turing, John von Neumann, Paul Erdos, Stanislaw Ulam, Steve Wozniak (and many others). I had been lucky to have had two prominent problem-solvers among my mentors: Stan Ulam and Paul Erdos. I met Ulam while studying math in Paris. Ulam helped me to enroll at the University of Florida, where he eventually became a graduate research professor with me being his (last) doctoral student. His winterly presence at UF attracted a number of luminaries, including Paul Erdos. I begin with Paul Erdos, since he was the role model for the problem-solver category as defined by Gowers. 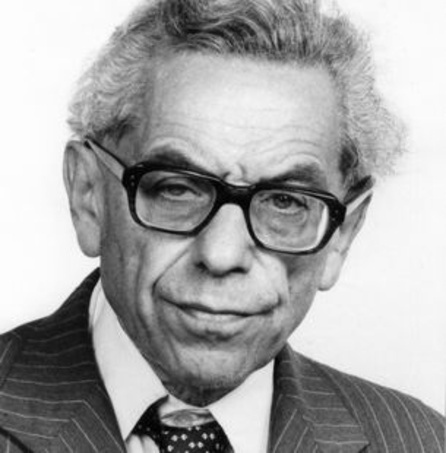 Paul Erdos was the quintessential problem-solver. Ernst Straus, who worked with both Albert Einstein and Erdos, said: “In our century, in which mathematics is so strongly dominated by ‘theory doctors,’ he has remained the prince of problem solvers and the absolute monarch of problem posers” (NY Times Obituary of Paul Erdos). Erdos published over 1,500 articles that he wrote or co-authored with 485 collaborators and left behind hundreds of unsolved problems. He offered monetary prizes that were indicative of the difficulty of each problem. The prizes are still being disbursed by his friends, Ron Graham, Fan Chung, and Andrew Beal. For a delightful story of Erdos, see “The Man Who Loved Only Numbers” by Paul Hoffman. For a short read on the flavor of Erdos’ problems and his friendship with Graham see “The Odd Couple” by Craig Merow. Finally for a 1993 biographical documentary film that illustrates Erdos’ approach to problem solving, his peculiar lifestyle, and his delightful sense of humor, watch N Is a Number: A Portrait of Paul Erdos. I wrote a paper with “Uncle Paul” on “An extremal problem in graph theory” and thus my Erdos number is 1. Stan Ulam was another famous problem-solver – but a very different one from Paul Erdos. Ulam was a true polymath, interested in fields ranging from set theory, topology, ergodic theory, probability, cellular automata, nonlinear processes, hydrodynamics, nuclear science and space propulsion. Ulam invented the “Monte Carlo” methods – ways to discover behavior of complex systems by simulating the behavior of their elements in a probabilistic fashion. He is most often remembered as the co-inventor (with Edward Teller) of the hydrogen bomb. 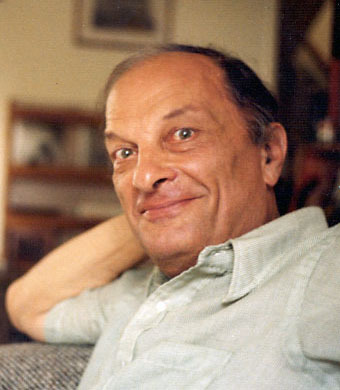 In his early postdoc years, Stan Ulam was a member of the Lwów School of Mathematics, an informal group of mathematicians founded by Hugo Steinhaus and Stefan Banach. The group met at the Scottish Café, where the problems they discussed were collected for many years in the Scottish Book kept securely by the headwaiter. Ulam contributed or co-authored over a third of the problems. 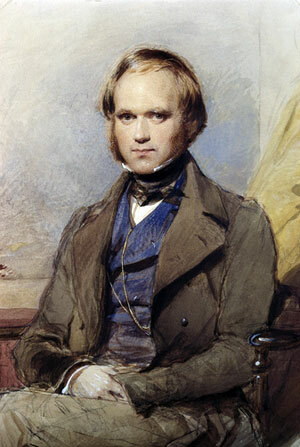 Authors often offered prizes for the problems. 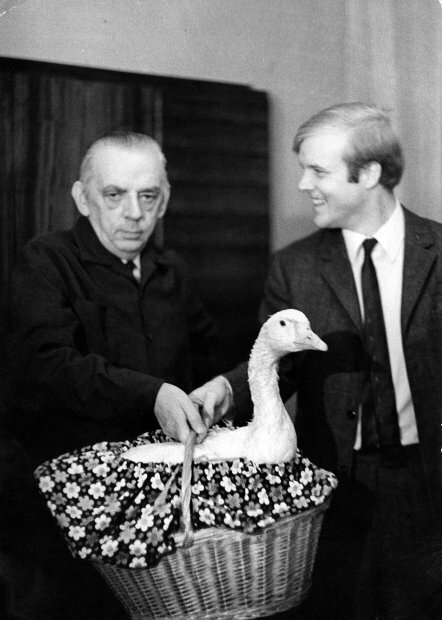 One was a live goose offered by Stanislaw Mazur for the problem 153. The problem was solved 36 years later by Swedish mathematician Per Enflo, who received the promised reward from Mazur in person. Scottish Book was eventually translated by Ulam and published by the Los Alamos National Laboratory. An extesively annotated version was published by Dan Mauldin in 1981 after the “Denton Scottish Book Conference.” (Many of the problems remained unsolved as of that date.) It includes an article by Paul Erdos where he notes that some of the “new” problems he solved turned out to have been first posed in The Scottish Book. Ulam also published “Problems in Modern Mathematics” which includes a number of his Scottish Book problems and adds many new problems. Like Erdos, Ulam understood that he was not a theory-builder. In his own words: “I am the type that likes to start new things rather than improve or elaborate. (…) I cannot claim that I know much of the technical material of mathematics. What I may have is a feeling for the gist, or maybe only the gist of the gist.” (in “Adventures of a Mathematician”). Although Ulam was a very competent technician when he had to be, the most important skill in his problem solving toolkit was an uncanny intuition. It seemed often that a separate hidden part of his brain did all the work and solved the problem before his conscious mind even got to deal with it and do the actual reasoning. When faced with a complex issue, he would quickly focus on what really mattered, reformulate the problem, and devise acceptable approximations that could be solved using available methods. The story behind the Teller-Ulam H-Bomb design is just one example of what his friends witnessed on a daily basis. He would absorb new knowledge in a flash (but just the “gist” of it) and would immediately pronounce his beliefs (that usually turned out to be correct). His good friend MIT professor Gian-Carlo Rota once ordered a hundred buttons that proclaimed “UNCLE STAN is always RIGHT”. Unlike Erdos, who was always very precise in his “conjecturing”, Ulam would dream up assignments that were more like general study subjects than open problems. For example: “See if you can recognize handwritten characters by applying multiple slight topological transformations that bring a scribbled character close to a model character.” (This one problem involved topology, pattern and graph distances, nonlinear optimization, and a lot of programming, but – after a month-long proof-of-concept work – we dismissed the problem as not being interesting enough.) My favorite saying of his was that “the mathematicians know a great deal about very little and the physicists very little about a great deal”. pyramid-builder You generally avoid problems or mitigate against them. If a problem arose in your project, would you compromise the planned design to deliver the project on time (or would you rather solve the problem at additional cost and schedule impact)? theory-builder You solve problems only when their solution expands the theory. Is the effort required to become the leading expert in your domain of interest worthwhile? problem-solver You solve problems because they are interesting or practical, or when their solution demonstrates the power of your toolkit. Does your problem-solving ability contribute critically to your job performance? Speaking for myself, I am a “PS/TB-PB” person. In the early days of human evolution, people were mostly pyramid-builders (“I positively need some food soon, and I think I know how to get it”) with problem-solving providing a constant and necessary improvement of the know-how. Theory-building appeared late, probably at the time that various beliefs emerged that explained how the world works (obviously, theory-builders and theories must have appeared at about the same time). At the time of European Renaissance, Eastern cultures were still dominated/ruled by theory-builders, while Western culure became agressively guided by problem-solvers (with other thinker categories providing necessary support in each case). Industrial and internet revolutions were driven primarily by problem-solvers, I think. I find the problem-solving-attitude classification presented in this post, as crude as it may be, helpful in understanding human relations. Of particular interest are the interactions between the three categories of people. Pyramid-builders and theory-builders govern the world. But where pyramid-builders can be pragmatic, theory-builders are hard to subdue; they are steadfast in their positions – in extreme cases, they may resort to inquisition or jihad-style tactics to resolve an issue. On the other hand, problem-solvers are usually mercenaries – they will serve as long as their problem solving abilities are recognized and appreciated. A problem-solver can be subjugated by a theory-builder, but an attempt to turn her into a pyramid-builder will make her deeply unhappy and rebellious. If you are an engineer working on a pyramid-building project, you certainly know what I am talking about. There are thousands of psychometric and personality tests available, representing a billion dollar industry in the US. As a business manager, I had to take dozens of these tests. None of them seemed to address directly the problem solving attitude covered by this post. I think that this should change. Hi Ed – Really enjoyed this post! I’ve never thought about a typology of problem solvers before. Thanks for taking the time to think it through and share. Hi Steffon. Thanks for the comment. In my experience, the “typology of problem solvers” (nice phrase!) is most useful when presenting the solution. The same problem, and, often, the same solution — requires that the presentation be thoughtfully adapted to what motivates the customer. As a consultant, you are usually paid by a pyramid-builder, but you are likely to be engaged and judged by one of the other two kinds… and it is useful to be able to categorize the interlocutor (and yourself).